Below is a comprehensive list of hotels in Sennen Cove. Use the sort links to refine your search or to find featured accommodation in Sennen Cove. Many of our hotels in Sennen Cove feature no booking fees and best price guarantee when booked through the Pictures of England website. To list your hotel in Sennen Cove, click here. 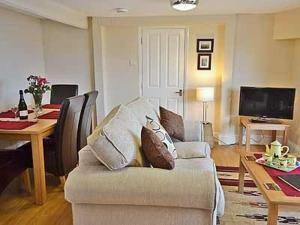 Sennen Apartment 1 offers accommodation in Sennen, 22 km from St Ives and 46 km from Falmouth. The unit is 13 km from Penzance. An oven, a toaster an.. Situated in Sennen, this holiday home is set 22 km from St Ives. The unit is 46 km from Falmouth. An oven and a toaster can be found in the kitchen a.. 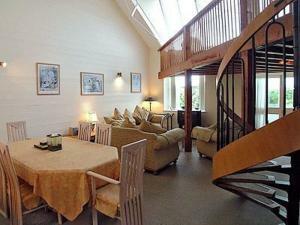 Located in Sennen Cove in the Cornwall Region, this holiday home is 4.4 km from Minack Theatre. 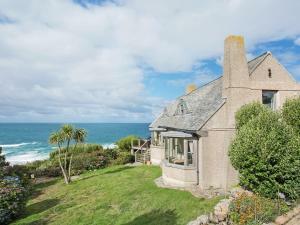 The property is 1.7 km from Land's End and free privat..
Grasscroft is just 5 minutes’ walk from Sennen Cove's beaches. This apartment offers free Wi-Fi and has an ideal setting for hiking. The simply dec.. 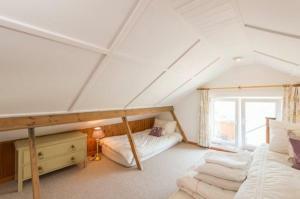 The Saddle Room offers pet-friendly accommodation in Sennen. The unit is 22 km from St Ives. Free WiFi is provided throughout the property and free pr..
Offering a children's playground and terrace, The Stablerooms is situated in Sennen in the Cornwall Region. St Ives is 22 km from the property. Free p.. Located in Sennen Cove in the Cornwall Region, this holiday home is 5 km from Minack Theatre. The cottage is 3.2 km from Land's End. The unit is equi..
Longships offers pet-friendly accommodation in Sennen, 21 km from St Ives and 45 km from Falmouth. The property boasts views of the garden and is 12 k..
Set in Sennen in the Cornwall Region, this holiday home is 21 km from St Ives. It provides free private parking. Free WiFi is offered throughout the p..
Sevenstones is a holiday home located in Sennen in the Cornwall Region and is 21 km from St Ives. It provides free private parking. An oven, a toaste.. Situated on the Cornish coast, Land's End Hotel has rooms with a flat-screen TV and carpeted floors. It includes a terrace and free WiFi in public are.. 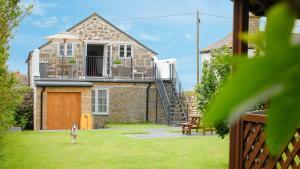 Featuring a garden, Kitticarn is a holiday home set in Sennen in the Cornwall Region. The property is 20 km from St Ives and boasts views of the garde..
Cragford offers accommodation in Trevilley, 20 km from St Ives and 45 km from Falmouth. The unit is 11 km from Penzance. The unit is equipped with a .. The Bunker is a holiday home located in Sennen, 22 km from St Ives. 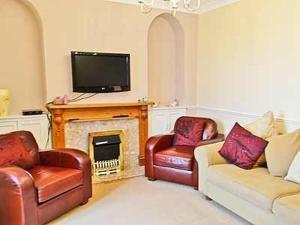 The property boasts views of the city and is 44 km from Falmouth. 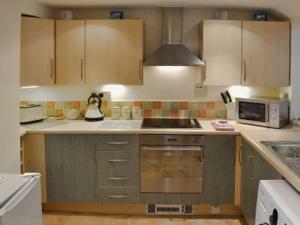 The kitchen has..
Little Morvoren is a holiday home with a garden, set in St Just in the Cornwall Region. The property is 19 km from St Ives and free private parking is..
No 2 Landsend Cottages is a holiday home set in Sennen Cove, 5 km from Minack Theatre. It provides free private parking. The unit fitted with a kitch..
No 1 - Landsend Cottages is a holiday home situated in Sennen Cove in the Cornwall Region and is 5 km from Minack Theatre. 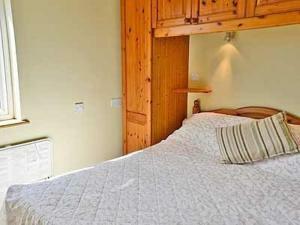 It provides free private pa..
Robins Nest is a holiday home featuring a garden with a barbecue, situated in St Just. The property is 18 km from St Ives and free private parking is ..